We are looking for export enquiries mainly from Kenya, Tanzania, Egypt and Bangladesh. A research grade instrument with 128 x 64 Large Graphical LCD display having auto temperature compensation, auto buffer recognition along with accessories. Its features include 3 point calibration. Data Storage facility upto 1000 samples, complete with pH electrode, temperature probe, electrode stand, dust cover & Instruction Manual, computer interface with USB. 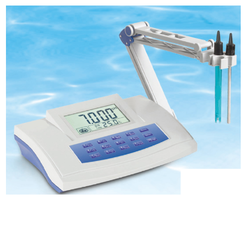 Digital PH Meters offered to come with automatic temperature compensation combination pH electrode and RTD probe, as well as the support of 3½ Digit, LED display. 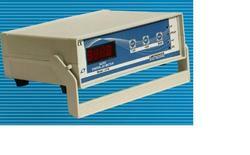 These find suitability for measurement of pH and MV and provide stable and accurate functioning support. We also offer the meters with auto temperature compensation facility that allows it to perform pH, ORP as well as temperature measurements with faster accuracy and response time. 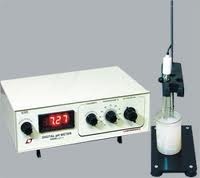 Accessories: Combination pH Electrode, Buffer Tablets 4pH & 7pH, Operation Manual, Electrode Stand, Dustcover. Function pH, conductivity and temp. 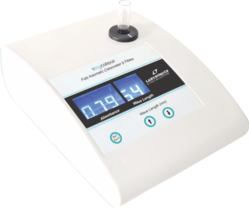 Digital pH, Conductivity & Temperature Meter - Conductivity & Temperature Meter is an elegant, rugged and most economical instrument for fast and accurate pH, Conductivity and Temperature measurements in any laboratory.